"As we end the summer holidays, and for some booksellers the tourist season, I'd like us to think about the concept of Bookshop Tourism.... Book lovers don't need to come to bookshops to buy books. We have great customer service, but so do our online competitors--albeit within a fairly dry definition. And yes, there are people who consciously want to support the high street. But most of our customers come into our bookshops and buy our books for one reason only; they enjoy the experience. We are, I would say, already a leisure destination." The Stavros Niarchos Foundation is partnering with the New York Public Library and the City of New York on the complete renovation of the system's largest circulating branch, Mid-Manhattan Library. 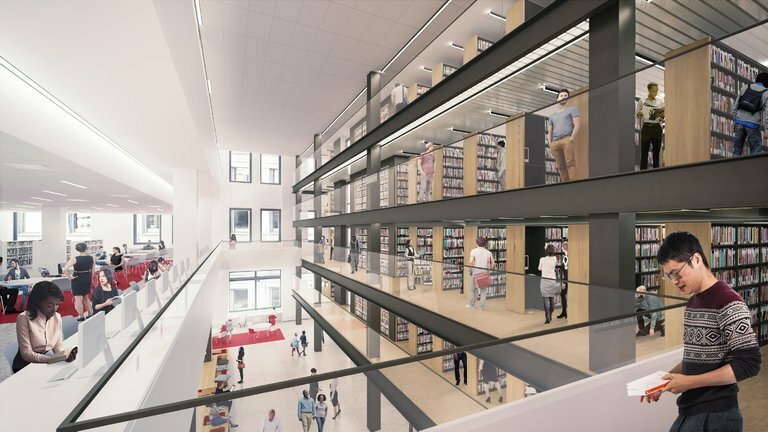 The foundation's $55 million gift will support the creation of a modern, central branch and help establish a "Midtown campus" that will reconnect the circulating library with the NYPL's research center, the Stephen A. Schwarzman Building. The gift also establishes an endowment for programming at the renovated library. 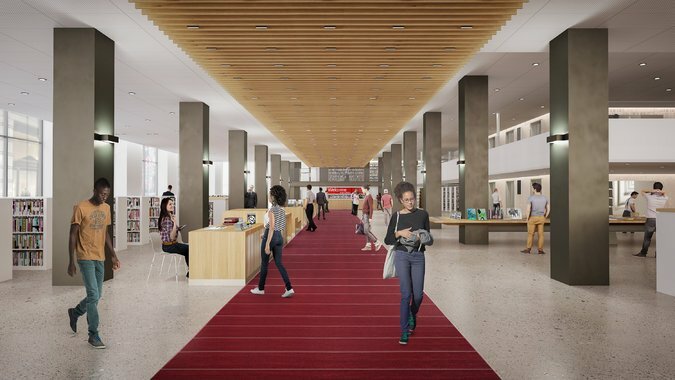 The Mid-Manhattan Library renovation is expected to be complete in 2020, when the building will reopen as the Stavros Niarchos Foundation Library, "a testament to the importance of this gift as well as the Foundation's extensive previous support," the NYPL said. The foundation has supported the library with grants of over $60 million. The library's board of trustees executive committee approved the renaming at a recent meeting. The $200 million renovation is being funded with $151 million in city capital funds, as well as the foundation's private gift. "This gift is a culmination of the Stavros Niarchos Foundation's long-standing and unwavering commitment to libraries around the globe," said NYPL president Tony Marx. "We are so appreciative of the Foundation's generosity, vision, and support as we transform our largest central branch into the library New Yorkers deserve and have never had. The project--also supported by our partners in New York City government--will allow for more use and a better flow of ideas and learning back and forth across Fifth Avenue." Andreas Dracopoulos, co-president of the Stavros Niarchos Foundation, said, "We are very proud of this new partnership with NYPL, which continues a long and impactful collaboration. Our shared vision is that this landmark gift will not only transform one of the city's most democratic and accessible spaces, Mid-Manhattan's central circulating branch, but will also create a hub of knowledge, creativity, and innovation in the center of one of the world's greatest cities." The New York Times noted that the gift and renaming "are the latest development in the library's recalibrations following the withdrawal of its Central Library Plan, which would have involved selling the Mid-Manhattan branch, housed in a former department store, and moving its functions into the Schwarzman building. That plan, which included a design by the British architect Norman Foster, drew substantial criticism from pundits, scholars and the general public, and was abandoned in 2014." Visible Voice Books, Cleveland, Ohio, which closed in 2014, will officially reopen September 27 in a new location--2258 Professor Ave. in the Tremont neighborhood--after a three-year hiatus. Cleveland Scene reported that the new space "includes a 26-car parking lot, and the additional square footage has allowed for a café." 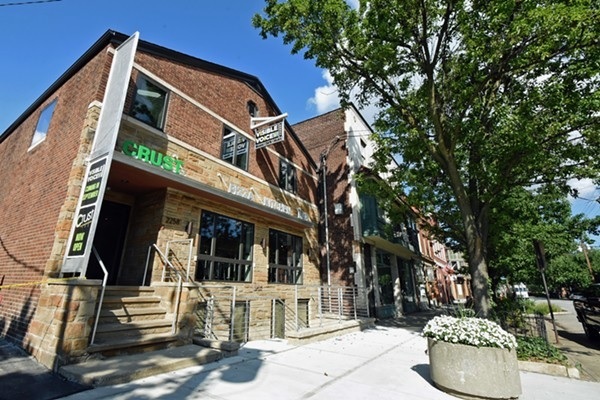 Last month, Crust Italian restaurant opened on the first floor of the building, which Dave Ferrante purchased last year. The two businesses will share a patio and event space in the future. "It's the same philosophy, same neighborhood and same proprietor--but we've doubled our space and centralized our location," Ferrante said. "We've added more magazines, literary gifts and genres. We're enhancing sections like fiction and cooking--something that's important in a neighborhood known as a dining destination." For the past three years, he has been "making lists of books and lists of what I could do to refocus and strengthen the store. The idea of reopening was never really out of mind for very long. For better or for worse, I would not be the person I am now if it was not for all the reading I have done throughout my life. Literature widens your world view and opens you up to understanding the struggles, motivations and will of others. People tend to purchase specific items online. An independent bookstore lets you serendipitously discover books and authors you may have never have otherwise known you were interested in or existed." 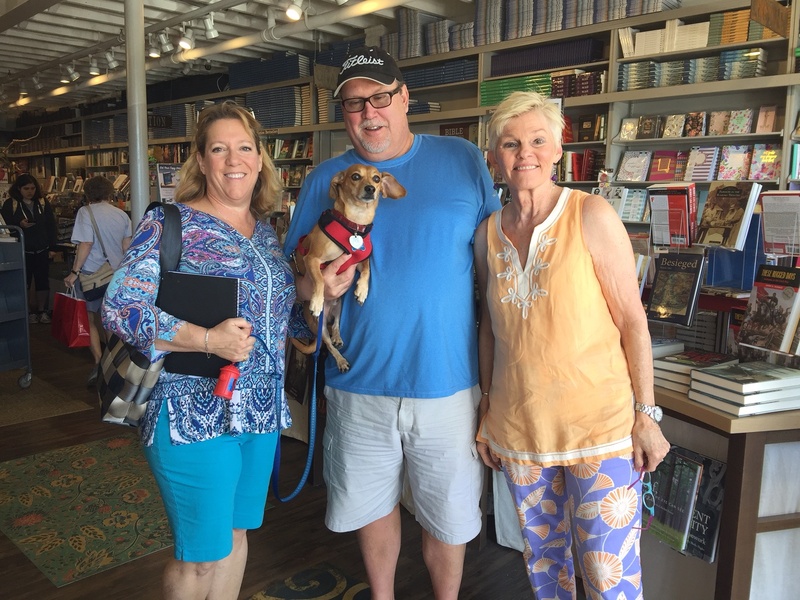 Because of Hurricane Irma, Karen Roby of Writer's Block Bookstore in Orlando was stranded in Evergreen, Ala. She and her husband, Fred, were invited to come to Page and Palette in Fairhope and stayed with bookseller Stephanie Crowe. When Karen and Stephanie headed to New Orleans for the Southern Independent Booksellers Alliance Discovery Show (which starts today), Fred returned home to clean up. He reported that a tree fell on their carport, but otherwise the house was not badly damaged and has just a few leaks. On Wednesday, Writer's Block posted on Facebook: "We are OPEN! We have POWER! We have A/C! We have WIFI! We also have BOOKS!" Most Books & Books stores are open, too. On Facebook, the store said, "Our Coral Gables, Miami Beach, Bal Harbour, and Arsht Center Books & Books stores and cafés are officially reopened! Events through the remainder of the week will be rescheduled. Welcome back bibliophiles." The Bookstore in the Grove, Coconut Grove, is still closed. It said on Facebook that it is waiting for power to return, at which point it will reopen. "The Bookstore is thankful Hurricane Irma has passed & we are safe." "To help the monumental recovery efforts ahead" following Hurricanes Harvey and Irma, Politics and Prose, Washington, D.C., is donating 20% of the store's sales this coming Saturday, September 16, to Direct Relief, which is providing medical and other assistance to communities struck by the hurricanes. Then, on the following Saturday, September 23, 20% of store sales will be donated to the Book Industry Charitable Foundation (Binc). In a similar kind of campaign but one that's not related to the hurricanes, Politics and Prose will donate 20% of its sales on Saturday, September 30, to an effort spearheaded by Kymone Freeman and the We Act Radio station plans to establish a bookstore in the Anacostia neighborhood of Washington, an area without a bookstore. The store will be called the Charnice Milton Community Bookstore, named after a 27-year-old community journalist killed two years ago at a bus stop by a bullet that police suspect was intended for someone else. At 3:30 p.m. that Saturday, Freeman will be at Politics and Prose and will be discuss the fundraising drive with Derek Hyra, author of Race, Class, and Politics in the Cappuccino City, a book about the capital's changing neighborhoods. Simon & Schuster has extended its relief assistance programs for bookstores, libraries and schools in Texas following Hurricane Harvey to bookstores, libraries and schools in Florida, other affected states and U.S. territories in the Caribbean following Hurricane Irma. Under the program, S&S will provide retail accounts damaged by Hurricane Irma free multiple copies of 20 new releases and bestsellers "to help them attract customers as they restore their businesses to normal operating conditions." The company is also offering to any public or school library damaged by Hurricane Irma a donation of 250 "best of" titles to help in the restoration of their collections. For more information, e-mail S&S at education.library@simonandschuster.com. S&S continues to work with national and local nonprofits such as First Book to provide books to children and adults displaced by Hurricane Harvey and is expanding those donations to include people affected by Irma. Carolina Wren Press, Durham, N.C., is buying the list of John F. Blair, Publisher, Winston-Salem, N.C., and will launch a combined list on January 1 under a new name: Blair. With the sale, longtime John F. Blair president Carolyn Sakowski will retire. "Since 1954, we have focused on publishing books about the Southeast that might otherwise have been overlooked," she said. "Carolina Wren has a similar mission. The timing is serendipitous for both of us. The combining of our two programs creates the perfect merger." Lynn York, publisher of the nonprofit Carolina Wren Press, said the house is looking forward to "expanding our existing literary fiction and poetry catalog to include John F. Blair's list. Blair's nonfiction list showcases a diversity of voices and has a compelling and expansive view toward the American South. It was a perfect fit for us." John F. Blair has concentrated on travel, history and culture in the American South. Its bestselling titles include more than a dozen volumes of slave narratives and autobiographies of black leaders, such as this season's This African American Life by former Urban League president Hugh B. Price. The press has also has published cookbooks, travel guides, nature, and art books, and books on Southern folklore. Founded in 1974, Carolina Wren is home of the Lee Smith Novel Prize and the Bakwin Award for Writing by a Woman, as well as a poetry series. Novelist and playwright J.P. Donleavy, "the expatriate American author whose 1955 novel The Ginger Man shook up the literary world with its combination of sexual frankness and outrageous humor," died September 11, the New York Times reported. He was 91. Although he had "considerable trouble finding a publisher for The Ginger Man," his friend Brendan Behan suggested he "send the manuscript to Olympia Press in Paris. This worked out well, in that Olympia accepted the book, and not well, in that it was published as part of the Traveler's Companion series, which was known for erotica," the Times noted. "That was basically the end of my career," Donleavy has said. "I was 'a dirty book writer' out of Paris." Eventually, however, The Ginger Man won critical acclaim and a wide readership, selling more than 45 million copies worldwide and making Modern Library's list of the best 100 novels of the 20th century. Donleavy wrote more than a dozen novels, as well as plays and nonfiction books, including The Beastly Beatitudes of Balthazar B.; The Destinies of Darcy Dancer, Gentleman; The Onion Eaters; The Unexpurgated Code: A Complete Manual of Survival & Manners; A Singular Man; and A Fairy Tale of New York. His last published novels were The Lady Who Liked Clean Rest Rooms and Wrong Information Is Being Given Out at Princeton, though he "had also been working on a manuscript, The Dog That Fell From the 17th Floor, for several years," the Times wrote. In "a toast" for the late author, Dwight Garner wrote: "In his spectral wit, Donleavy could resemble Samuel Beckett; in his delighted lustiness, Henry Miller; in his damp and scattered wordplay, James Joyce. An American who lived most of his life in Ireland, he spoke to this century’s intellectual and moral dislocations. Like a greased pig, he eluded critical capture." Bright lights in the big city. 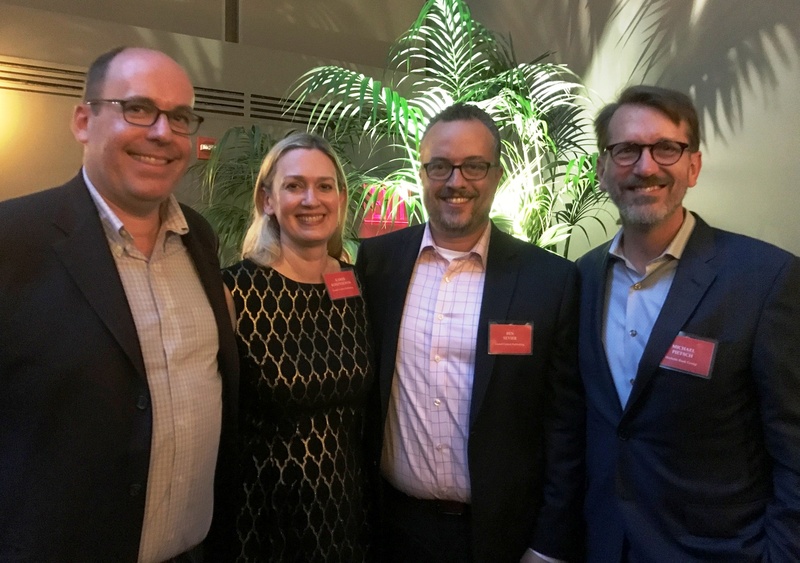 On Wednesday night at a party in New York City, Hachette Book Group CEO Michael Pietsch (r.) celebrated recent new appointments at Grand Central Publishing: (from l.) Sean Desmond, publisher, Twelve; Karen Kosztolnyik, editor-in-chief; and Ben Sevier, publisher. 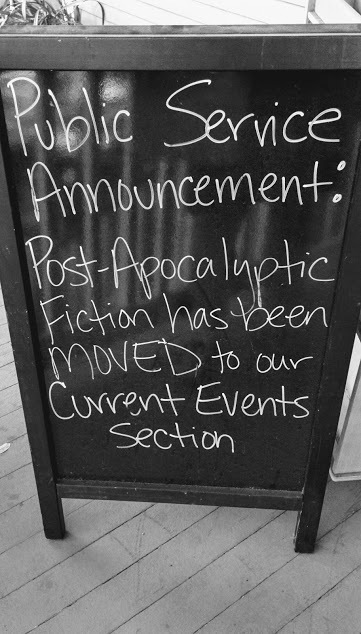 "Post-Apocalyptic Fiction Has Been Moved to Our Current Events Section." In an interview with Katie Barringer, owner of Cover Books in Atlanta, Ga., ArtsATL wrote: "For some people, spending time in bookstores--drifting through stacks and aisles, letting the senses fill up with the texture and odd joy of all those books--is a devotional practice. We browse. We linger. We fill our lives with these beautiful, readable objects. Katie Barringer believes in this magic, and her store, Cover Books, continues to offer surprising, comforting spaces where all different sorts of devotions--art, photography, food--come together in the store's collections. 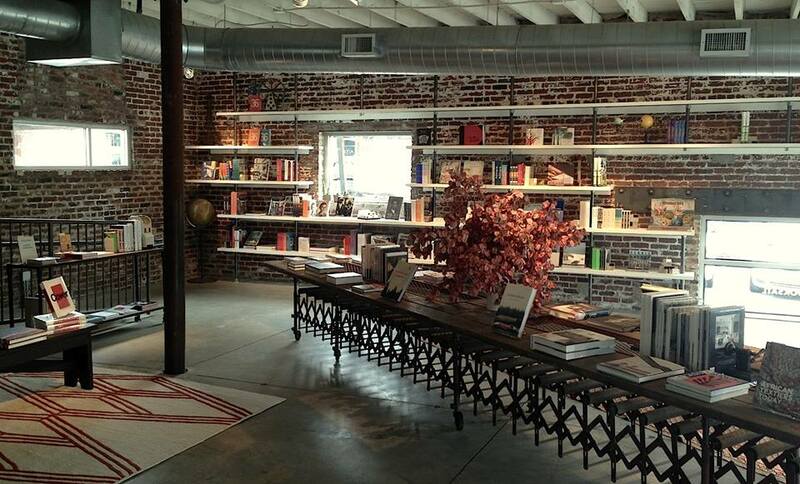 In addition to Cover's new space at the Atlanta Contemporary, the recently opened pop-up Ephemera, 'a temporary outpost of vintage and rare art books' in Shedspace at Whitespace Gallery, allows buying books to feel like stepping into another world. Tucked away in the garden, the tiny shed that houses Ephemera feels like a dream of a store, glowingly lit, alive with books. Like all great pop-ups, Ephemera is social, intimate, and you just wish it would stay forever." Barringer, who opened Cover Books in 2015, said her spaces "tie into the culture we're already living in. Books are just an added part that you can take home. (laughs) They can allow you to actively participate in these parts of culture that are thriving (art, music, food)--in a pretty approachable way.... [W]hether it's at Ephemera, the Contemporary, or other future pop-ups, what sets Cover apart from the big-box stores or buying online is that it gives people an opportunity and atmosphere to emotionally connect with the experience of purchasing books, in a way that goes far beyond a simple sales transaction." Katie O'Callaghan has been promoted to director of marketing, working on titles across all Harper imprints, including Harper hardcover, HarperDesign, Amistad and Broadside Books. She was formerly associate director of marketing. Stephanie Cooper has been promoted to director of marketing, working on titles across all Harper imprints including Harper hardcover, HarperDesign, Amistad and Broadside Books. She was formerly associate director of marketing. Lighter Than My Shadow by Katie Green (Roar Comics/Lion Forge). Fresh Air repeat: Bruce Springsteen, author of Born to Run (Simon & Schuster, $19.99, 9781501141522). Only a Game: Mark Bowden, author of Hue 1968: A Turning Point of the American War in Vietnam (Atlantic Monthly Press, $30, 9780802127006). NPR's Weekend Edition: Thomas Mullen, author of Lightning Men (Atria/37 INK, $26, 9781501138799). On Sunday at 8 p.m., PBS begins airing The Vietnam War, Ken Burns and Lynn Novick's 18-hour documentary whose 10 episodes will run over the next two weeks. The companion book, The Vietnam War: An Intimate History by Burns and Geoffrey C. Ward, was published by Knopf ($60, 9780307700254) on September 5. 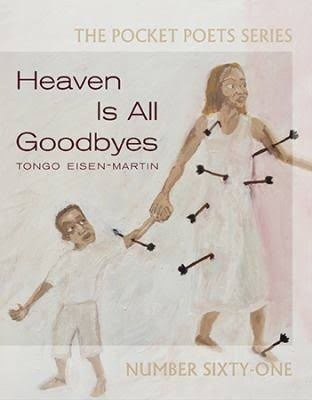 Tongo Eisen-Martin is the author of the poetry book someone's dead already, and his poetry has been featured in Harper's magazine. 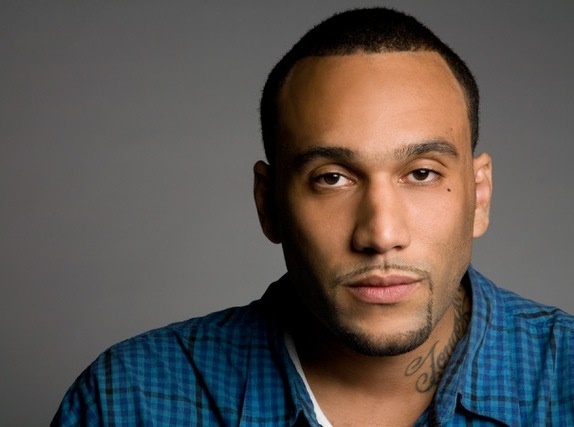 He is also a movement worker and educator whose work in Rikers Island was featured in the New York Times. He has been a faculty member at the Institute for Research in African-American Studies at Columbia University, and his curriculum on extrajudicial killing of black people, "We Charge Genocide Again!" has been used as an educational and organizing tool. Heaven Is All Goodbyes (City Lights, September 12, 2017) is his second collection of poetry. Thelonious Monk: The Life and Times of an American Original by Robin D.G. Kelley. Two for one. Kelley is about as good a historian as historians get. Monk will get you as close to the ins and outs of the cosmos as an artist can get you. Curious about what makes him (and geniuses in general) tick. Autobiography of Malcolm X as told to Alex Haley. True story. Bedtime reading. 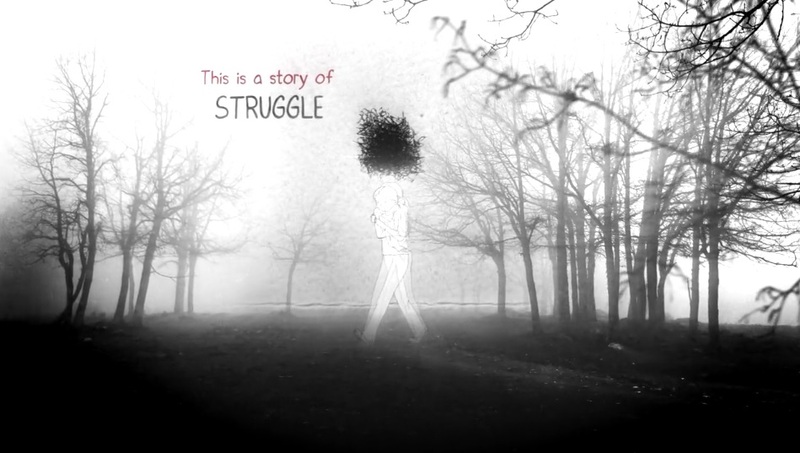 I learned early that I lived in an oppressive society and therefore a freedom fighter's story was the only adventure story to pattern myself after. Ayi Kwei Armah. A Ghanaian novelist whose books are a convergence of so much creative, spiritual and materialist force that you lose any sense of time and distance between you and the characters. Like you and his characters are all existing on the same piece of tapestry. Amílcar Cabral. I'd argue that however late he appears in the line of revolutionary thinkers, his power of political insight was as strong if not stronger than the theorists whose ideas he put into (miraculous) practice. It's hard to make an impression after so many great scientists have set their minds to liberation. For me he is the equivalent of the Einstein who will come after Einstein. Toni Morrison. I don't know. God on steroids. Audre Lorde. A poet can extract a two-year education from reading a couple of her poems. A craft with no internal enemy. Trungpa Rinpoche. Find your mind. Handle accordingly. Almost every single book assigned to me in high school English classes. And college core curriculum classes, too. But then, we were all faking, I suppose. Small Hours of the Night by Roque Dalton. Collected works of my hands-down favorite poet. He was supposed to be executed for his political activities. The night before his scheduled execution, there was an earthquake. The prison wall fell down and he escaped. He has poems to match. And unfortunately would be killed later. The Counter Revolution of 1776 by Gerald Horne. No, I'm lying. But I needed a way to get a second book I evangelize for into this. It does have a great cover though. I didn't grow up in that kind of house. "If you surrender to the wind, you can ride it." Last line of Song of Solomon by Toni Morrison. A good line is both 100 questions and 100 non-corresponding answers. 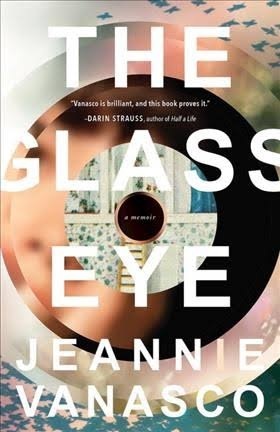 Jeannie Vanasco's The Glass Eye is an intense and unforgettable memoir, as fascinating for its artistry as for its subject matter. Jeannie was 18 when her father died. Though her mother is beloved and sympathetically portrayed, it was her father who had been her hero, her perfect person. On his deathbed, Jeannie promised him she would write about him. Although there is no sign that he heard, let alone held her to it, this promise would haunt the increasingly troubled young woman for years to come. Her father had lost his left eye and wore a prosthetic one, which was in fact plastic, "but sometimes I call it glass. Glass implies the ability to be broken." He lost his left vocal cord, too, and her mother loses hearing in her left ear. "What will be left of me if I lose her?" Jeannie's father had a daughter before her, from an earlier marriage, who died in a car accident. That daughter was Jeanne; the daughter who promised to write this book is Jeannie, pronounced the same but with an added i. She fills her book with meditations on glass and left. The Glass Eye is not what the 18-year-old intended to write. 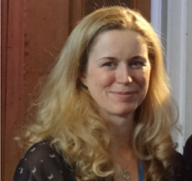 In the years after her father dies, Jeannie appears to function at high levels: she receives several degrees and works for prestigious publications. However, she is hospitalized repeatedly, battling mental illness and devastating grief. Everything is about her father--"Of course I hallucinated my eyes had fallen out." A symptom of bipolar disorder (one of several diagnoses Jeannie receives) is a preoccupation with " 'clang associations,' connections between words dictated by sound rather than meaning," although for Jeannie, eye and i and I are also connected by meaning. Vanasco pays compulsive attention to metaphors, and to the project of writing this memoir, which becomes a meta-exercise observing itself. She wonders, "What's my hindsight perspective? Is this my narrative present?" and plays with plot. She asks the professor in her memoir course, "What if it's about the promise to write the book?" The Glass Eye is indeed about Vanasco's promise, as it's about her father, grief, loss, her dead half-sister and reckoning with her own mental illness. And it's about itself: both memoir and writing-about-writing. Shelf Talker: A devoted, tormented daughter eulogizes a beloved father in this thought-provoking and experimental memoir. "If people don't like reading, they're reading the wrong book." If you like deceptively simple concepts--and I do--then yesterday was your kind of day. 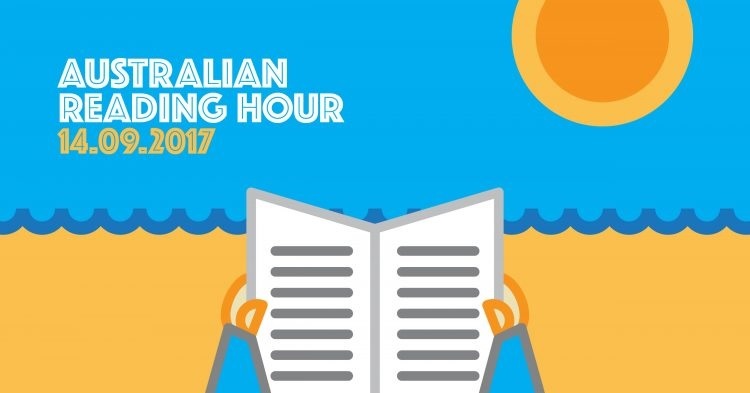 For the inaugural Australian Reading Hour, organizers encouraged Aussies to "stop what you're doing for one hour and pick up a book. We want Australians to either rediscover or introduce themselves to the benefits of reading." More than 330 libraries and bookshops registered to participate in activities, with over 100 Australian authors taking part in events in their local communities, Books+Publishing reported. The campaign was supported by the Australian Library & Information Association, the Australian Society of Authors, the Australian Publishers Association, Australian Booksellers Association and the Copyright Agency. It is an extension of ALIA's Reading Hour event, which ran annually from 2012 to 2016. "As an industry, we can encourage Australians to read Australian stories for pleasure for an hour," Louise Sherwin-Stark, Hachette Australia managing director and chair of the Australian Reading Hour committee observed, adding: "As an industry, we can spark a love of reading in children and set them up for a successful life, we can create more empathetic people and strive for a more prosperous and equitable society. 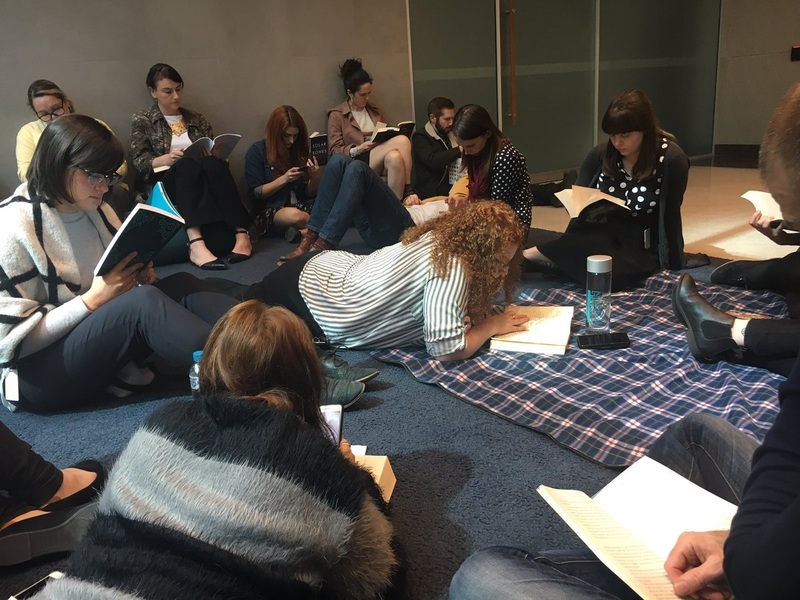 Most of all, we can give everyone an hour out of their busy lives to escape into a great Australian book and reduce their stress levels...."
Yesterday, the publisher led by example: "A gentle hush descended on Kent Street as the good folk of @HachetteAus did what they do best--read. #AustralianReadingHour #brbReading." 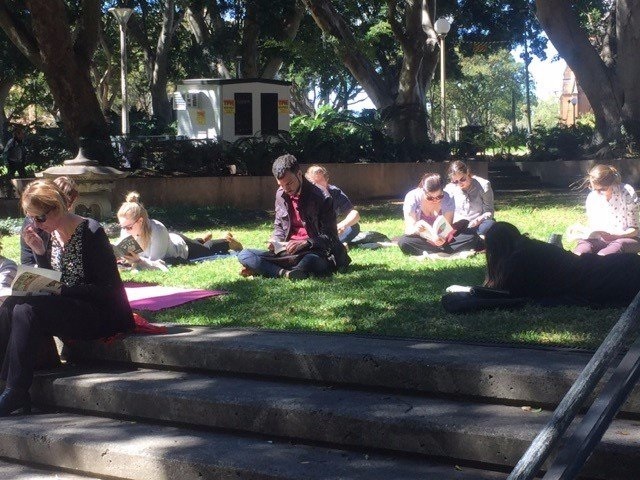 Meanwhile, Simon & Schuster Australia's "book fairies have dropped books at random locations in Sydney! The perfect excuse (like we needed one) to set aside an hour and get lost in a good book." Antipodes Bookshop & Gallery, Sorrento, VIC: "The boys embracing Australian Reading Hour with their much-loved Taronga #antipodesbookshop #australianreadinghour #taronga #sharingstories #booksellerslads". Melbourne's Hill of Content Bookshop: "We didn't really need much encouragement. What will you be reading?" Dymocks Books‏ in Sydney decided "this is absolutely how every lunch break should be spent." The National Library of Aus‏tralia featured a reader's version of a bucket brigade: "We know how important it is to take time out and read. Today's the day!" I was particularly struck by an ABC News piece headlined "We asked 11 Australians why reading matters to them." I've been a reader since childhood and lived in a professional world of books (reading for a living, you might say) for 25 years, so hearing from readers who are not in the book business is intriguing to me. It's one of the things I miss most about not being a bookseller. Noting that "Australians report spending an average five hours a week reading," ABC News spoke with some of them, including homicide detective Gary Jubelin: "Reading is my form of escapism. No matter what I'm going through in life, if I've got a good book I'm pretty well content.... It's my little way of getting away from the pressures and reality of the world and absorbing myself in a book." And from Lauren Chant, a childcare worker: "Reading is just a fantastic way to escape and become whoever and whatever you want to be, and go on amazing adventures, and sometimes explore scary or challenging themes.... You can work through it through books, memoirs like Augusten Burroughs' books are really good for that. You see someone go through some pretty horrifying stuff but come through it as a stronger and better, if not slightly dysfunctional, human being." In the Guardian, author Monica McInerney recalled: "I was an ordinary kid in an Australian country town, but I lived a different life with every book I read. I'd climb up to my favorite reading spot (the tin roof of our family house, tucked behind a chimney for shade) and be transported far from home. I time-traveled. I lived during the American civil war, in colonial Australia, on an island in Canada. In reality, I'd never been beyond Adelaide, but through books I was traveling the world. "When I first moved to Ireland with my Irish husband as a 26-year-old--26 years ago--books were also my passport into Irish life.... In Dublin now, if I'm homesick for Australia, I reach for an Australian novel. Books by Robert Drewe, or Jane Harper, or Garry Disher instantly bring me back under an Australian sun, breathing in Noosa sea air or the sharp scent of country gums.... Reading opens up the world to us. It helps us be whoever we want to be." I spent my Australian Reading Hour with The Turning, a story collection by one of my favorite authors, Tim Winton. And later I watched the amazing film adaptation of Winton's book. It was more than a good Australian Reading Hour. It was a good Australian Reading Day.